Let’s be honest, everything about grilling is great! Whether you’re celebrating Memorial Day, Labor Day, or the first day of summer, outdoor BBQ grilling is a longtime American tradition that brings friends and families together over something we all can agree on: great food. Here’s a fun fact: did you know that more than 3 out of every 5 homes have a BBQ grill? That’s a lot of hamburgers and hot dogs! Unfortunately, grilling also increases the chances of you having a home fire as well. They say that location is everything, and this is true of grilling as well. Let’s start with a simple but sometimes forgotten tip: charcoal and propane grills should only be used outdoors. Now that that’s out of the way, the next step is finding a safe location to grill so that you don’t risk a fire. Keep your BBQ grill far away from your home, particularly from wooden deck railings. Also, don’t place it under eaves or overhanging tree branches that could catch fire due to high flames. 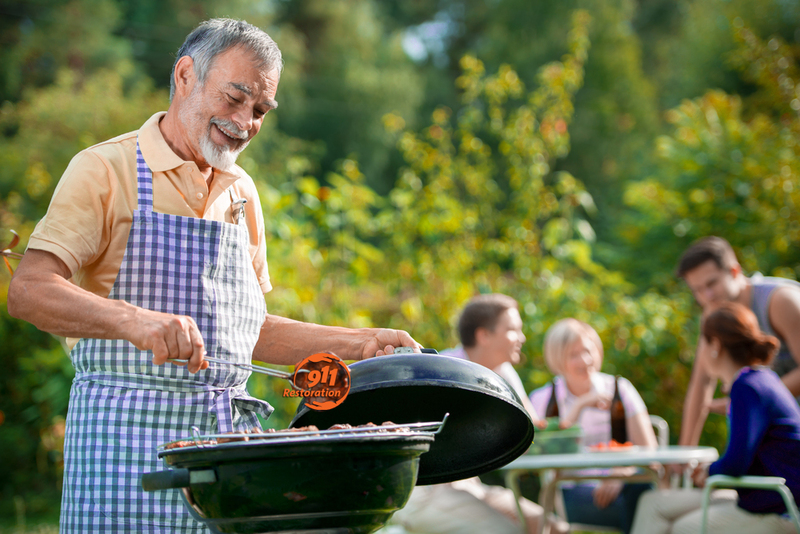 This may seem obvious, but you’d be surprised how many homeowners leave their grill unattended. Simply put, don’t. If you have to leave for a few minutes, have someone you trust take over the grill until you get back. Also, never let children or pets play near the grill. Note that some grills have lids that allow cooks to close up shop temporarily but if you have an open-flame style grill, take extra precaution to avoid a fire. When it comes to grilling the thing you always have to remember is, safety first. BBQ grills can suffer from gas leaks, which is a major fire hazard. 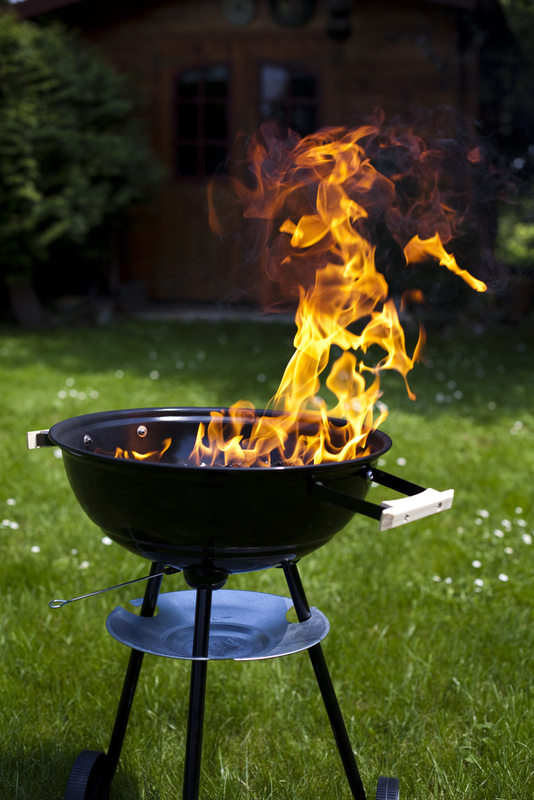 If during your grilling you smell gas, move away from the grill right away and call the fire department immediately. Your grill could have a gas leak and it’s better to be safe than sorry. Don’t believe us? This very situation happened to a man in Florida recently, according to Today News. A BBQ is a great way to have fun with family, food, and friends but just remember to take precautions when dealing with potential fire hazards like charcoal and propane grills. Go to the National Fire Protection Association (NFPA) for additional grilling resources, facts, and tips.If for any reason you ever suffer fire or smoke damage in your home, give 911 Restoration a call and let our technicians come to the rescue!